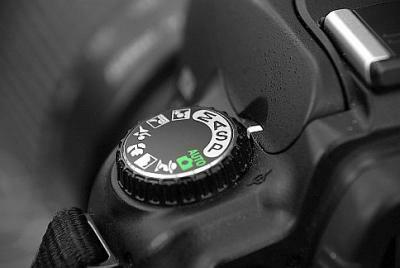 The aperture is one of the parts of a camera which decides the amount of light to be passed into the camera. By changing the aperture we can change the results of the picture. If the aperture is big then there goes lighter and the picture appears brighter, and when the hole is smaller, then the picture appears dark. The aperture position can be changed for experimental purpose and different shades of pictures can be obtained. In most cases the aperture in set to automatic and we can obtain the pictures of our requirement. But in some cases we have to change the aperture manually to obtain the new images for this purpose we have to learn how to change the aperture by ourselves without letting it to be auto. Below we have represented a few tips for changing our aperture. The first step is to familiarize the camera. If we are thorough with our camera’s settings and buttons we can perform all the actions easily, for this purpose we have to go through the manual and must be clear about the functions of the buttons. To modify the aperture settings we have to find it. We have to look for the button with an A on it. It can be used to adjust its aperture. In order to change the aperture we must be well thorough with the number of the apertures. The aperture numbers start with the letter f and continue with a number. These figures are known as the f-stops. For example some f-stops are given as f2.8, f-6.3, f3.6, etc. for using this f-stops we must understand them. For obtaining smaller openings we must have higher number of f-stop. Due to this less light will pass thorough the opening of and we would obtain a brighter image. While we are in outdoors we must use the smaller numbers since we have a lot of light available. Apart from changing the light which flows into the camera the aperture settings can be adjusted to adjust the focus of the camera. We know that in some pictures we have some clear spots and some blurred spots. These are obtained by adjusting the aperture. In case of lower f-stop, we can obtain an image where there would be a clear focus on a particular spot and other parts of the image will be blurred. In case we use a higher aperture then all the spots in the image will be at higher resolution and will be very clear. Before going into an experiment of changing the aperture we must clearly go through the manual and must be well aware of the camera settings. We should not change other settings which we do not intend to.